The .22 Long Rifle is the most prolific, most common caliber in the world. .22 LR ammo is used for anything and everything you can think of from shooting cans and rabbits to Olympic shooting sports. It is the caliber that everyone learns to shoot with. It is cheap, accurate, and effective when used for its many intended purposes. • Is .22 LR ammo a good choice for a beginner? 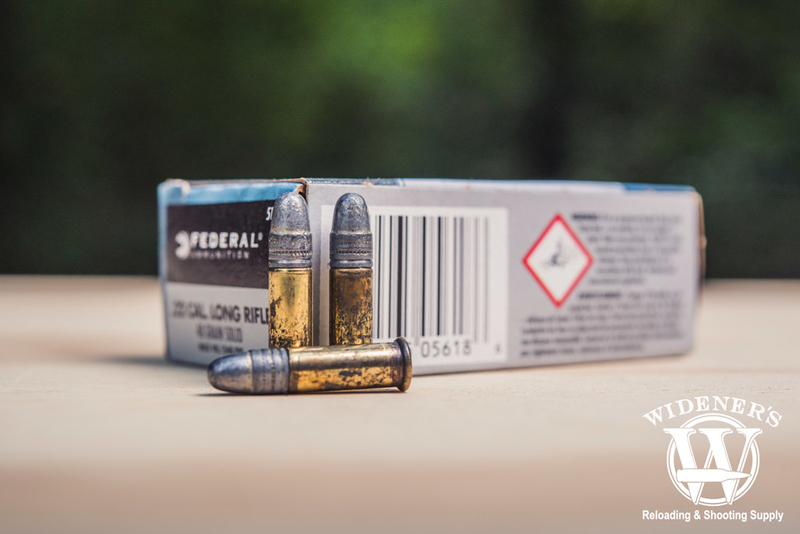 The .22 LR cartridge is one of the most popular ammo choices in the world because of it’s wide availability. It’s used in many popular shooting sports events, including the Olympics, it’s a favorite of plinkers and veteran shooters alike. The .22 LR is a low-recoil, standard-velocity cartridge with affordable pricing that makes an excellent choice for any beginner in the world of firearms. • Can I shoot .22 LR ammo in a gun chambered for 22 Magnum? The .22 LR cartridge cannot be safely fired in a gun chambered for .22 Magnum (WMR). The spacing gap of a .22 LR bullet, loaded inside the barrel of a gun chambered for .22 Magnum, will likely cause the .22 LR cartridge to rupture when fired. This rupture could cause irreparable damage to the firearm and would likely result in personal injury. • Is .22 LR ammo a good choice for hunting? The .22 LR cartridge has long been regarded by hunters and the prepping community to be the ammo of choice for small game and varmint hunting. It’s proven effectiveness against squirrels, rabbits, and rodents makes it a great choice for the average hunter. There are also many hunters who swear by its performance against larger game like feral pigs and wild coyotes. For many hunters, the .22 LR cartridge is the best “bang for your buck” to get the job done. Is The .22 LR Still A Popular Choice? 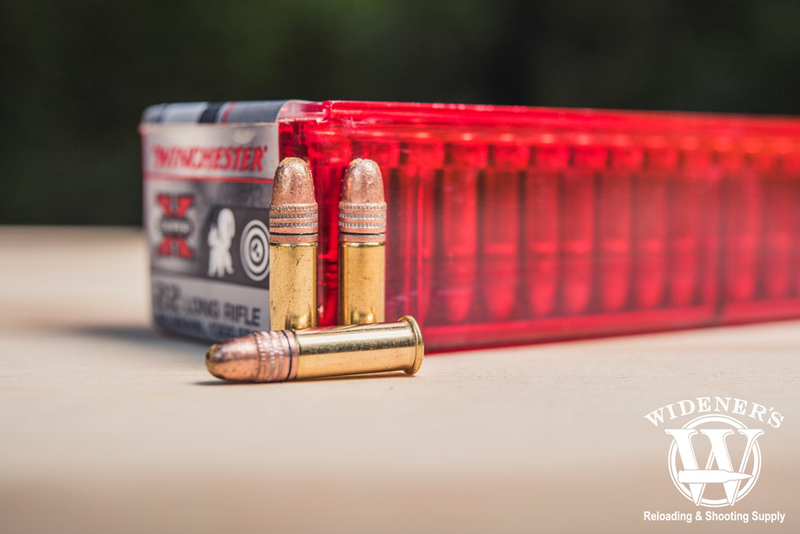 Rimfire cartridges are as popular as ever and the king of the proverbial mountain remains the .22 LR. It shoots straight, is cheap and easy to find, and is great at everything from dispatching vermin to precision shooting. It is equally at home in a pistol, revolver, or rifle. The .22 LR is one of the oldest cartridges still in use in modern weapons today. The .22 LR, or just “.22” as most folks know it, has been around for a long, long time. Originally introduced in 1887 by the J. Stevens Arms & Tool Company, it was a hybrid of the .22 Long cartridge case with the heavier 40 grain bullet from the defunct .22 Extra Long. The result has had tremendous staying power. 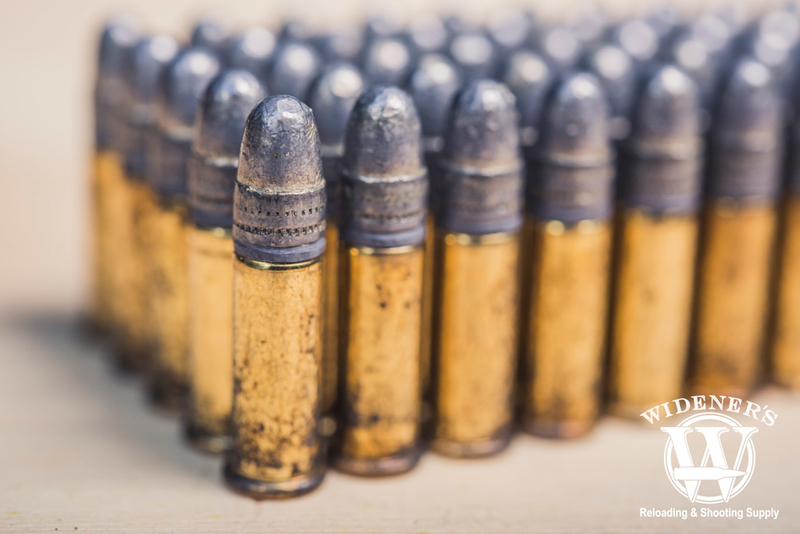 Originally, all of the rimfire cartridges were loaded with black powder which transitioned over the years to smokeless powders. The .22 LR has been fitted with all kinds of different bullets to include the ever-popular lead round nose (LRN), hollow points (HP), copper jacketed, and even some subsonic loads exist. There are also several varieties of shotshells produced in .22 LR which turn any handgun or rifles into a miniature shotgun, very potent against small varmints at close ranges. 40 grain lead round nose is a great all around cartridge for the .22. It is accurate, lethal to pests, and is readily available in large bricks from any Big Box store that sells ammo. It is the prototypical load for novice to learn the craft of marksmanship, and old hands use to stay sharp. 36 grain hollow points, jacketed/plated or just lead, are also very common. These are popular for taking vermin and varmints, as well as small pray, but there is a distinct disadvantage to rimfire hollow points: the are so low in energy and velocity that the hollow point has some difficulty expanding in soft tissue. This is not a flaw in the ammunition, really, just a matter of physics. The plated .22 FMJ bullet uses its copper plating as a lubricant when fired to prevent fouling. 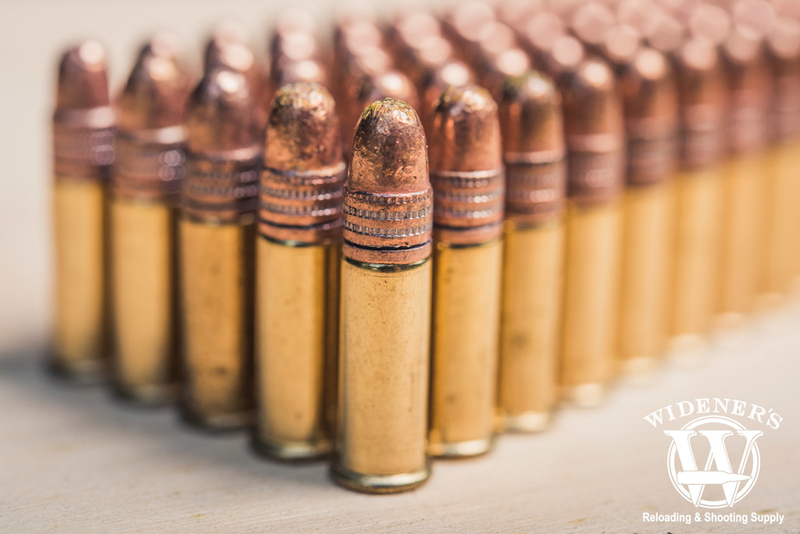 In a .22, plating the bullet has a very specific purpose: it reduces friction which increases the velocity of the projectile; essentially, copper plating acts as a lubricant. Also, the plated significantly reduces lead fouling from the bullets passing through the barrel. Competition .22 cartridges are generally copper plated, offering the great velocity and henceforth flattest trajectory. The .22 LR HP bullet is a popular choice for small game hunting. Hollow points are used for two purposes: self-defense and hunting. The hollowed tip expands on impact with soft tissue, often doubling the diameter of the bullet creating a massive wound channel. Unlike the giant, ungainly lead balls and slugs of yesteryear, hollow point bullets travel with enormous kinetic energy which is transferred to expansion and penetration on impact. The lead round nose .22 LR cartridge is a cost-effective solution for plinkers. These are popular because, let’s face it, they’re cheap. LRN .22s represent the most efficient way to feed your shooting addiction, and are easy to find in boxes of 500 or more, generally for around $20-$25. That’s a lot of shooting to be had for that amount of money. This will function well in most weapons and is a good all-purpose cartridge that you can use in all of your .22s, whether it be single-shot rifle, revolver, autoloader, etc. There a couple of different types of shotshells in .22 LR. Crimped case is quite common and is a brass case which is the full length of an entire .22 LR cartridge with the bullet. This does not pose any problems with bolt action or break open rifles or revolver handguns, but these on occasion will get hung up ejecting from autoloaders. This is nothing surprising, though, because rimfire autoloaders are notoriously finicky to start with due to the low power of rimfire cartridges. The other variety of shotshell uses a standard length metal case with a plastic “bullet” encasing the shot. The plastic shell dissolves on impact with the target, which is a nice bonus because it keeps the shot tight in transit. Also, these tend to eject a little smoother from autoloaders. Dedicated autoloader cartridges are currently produced in the .22 LR caliber. This .22 LR ammo is designed to fire at higher velocities, hence a higher powder charge. This produces the additional energy necessary to reliably cycle semi-automatic firearms. 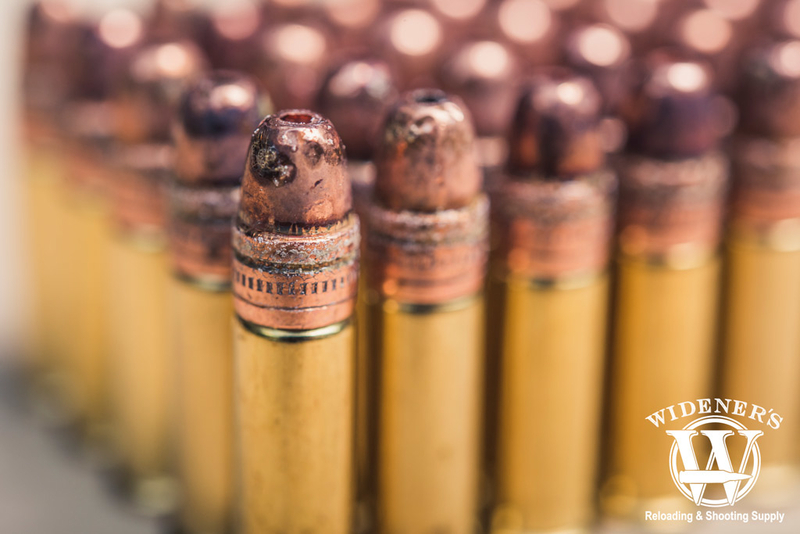 Rimfires are a little bit different from centerfire cartridges in that their cases are very small which gives little variation in terms of what weights and shapes of bullets can be used. Also, due to the heeled bullet design, common bullet shapes of centerfire calibers are not possible. With this in mind, there are only a few bullet weights in .22 LR. The most common are 40 grains for solid bullets and then 36 grains for hollow points. Unlike centerfire cartridges in which the structure of the bullet is completely different between round nose bullets and hollow points, a .22 hollow point is really little more than a LRN with a cavity in the center. There is a class of lightweight bullets known as “hyper-lightweight” which are in the 30 to 32 grain range and scoot along at upwards of 1,600 fps. I would choose this only in windless conditions and without the possibility of shooting through branches or even tall grass. Is .22 LR Ammo The Best Choice? The versatility of the .22 LR cartridge makes it a great choice for many gun owners. There is no question of the popularity and downright handiness of .22 LR ammo. You can many different types of weapons with a common caliber, and one which is devoid of recoil, generally quiet, and very inexpensive. 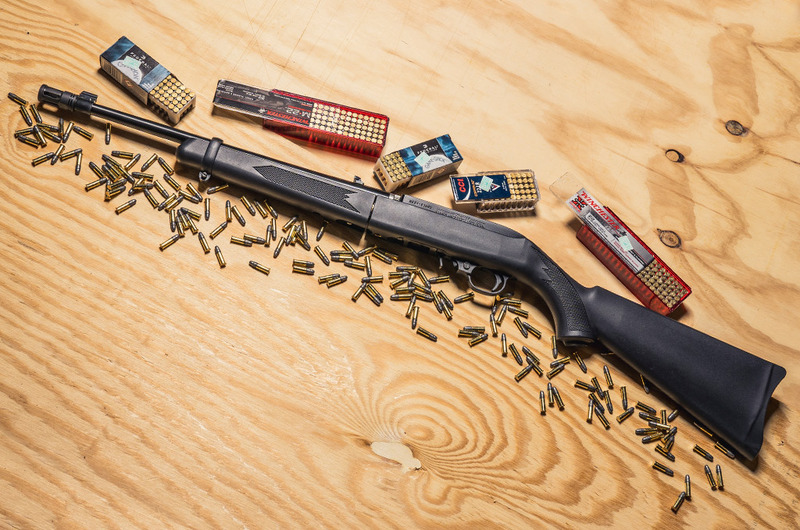 There are enough different types of ammunition to fill a few different roles from plinking and general target practice to varmint control to precision match shooting. It is a great caliber to learn with and is equally adept at maintaining and improving skills because you can afford to shoot a lot and it won’t break your collarbone.